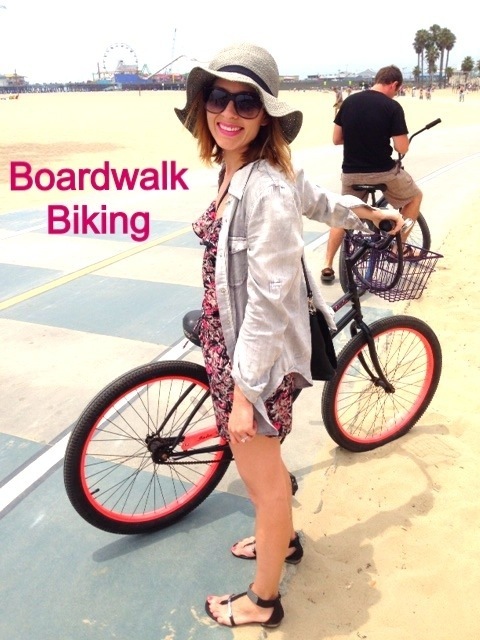 One of my favorite LA activities is renting beach cruisers and riding along the boardwalk from colorful Venice Beach to the bustling Santa Monica pier. Up-close views of the Pacific mixed with always-entertaining people watching guarantees an experience to remember (and out-of-town visitors will have a blast). Stopping for lunch and a drink on Main Street gives you a chance to refuel before you head back down. Beautiful way to spend a summer day!